This Aluminum SUP Paddle is lightweight and durable. Its 2-piece design makes storage and transport easy. 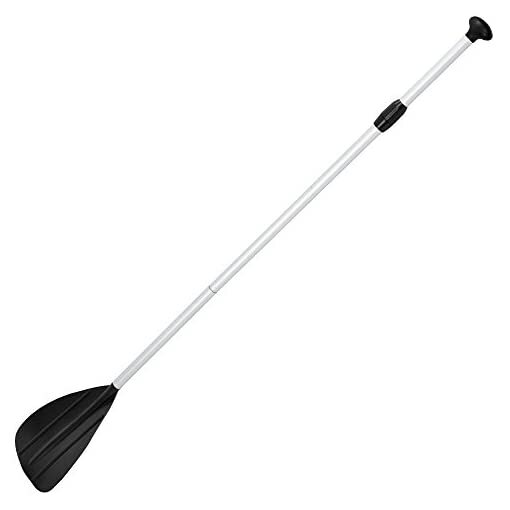 This paddle features an adjustable aluminum shaft, comfortable “T” handle and a tough polypropylene flex blade. 90-day Limited Warranty.